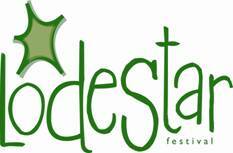 This year’s Lodestar festival has been cancelled. It seems that like so many festivals they have been plagued by weather problems, and thus has fallen behind with the organisation. The three day event on the first weekend of September (August 31st – September 2nd) was set to include Badly Drawn Boy, Maps, Idlewild, Pigeon Detectives and The Rakes amongst others. The word is that the first Lodestar festival may well be held next Summer.